PageRank is one of the methods Google uses to determine a page's relevance or importance. Google uses many factors in ranking. Of these, the PageRank algorithm might be the best known. PageRank evaluates two things: how many links there are to a web page from other pages, and the quality of the linking sites. With PageRank, five or six high-quality links from websites such as www.cnn.com would be valued much more highly than twice as many links from less reputable or established sites. 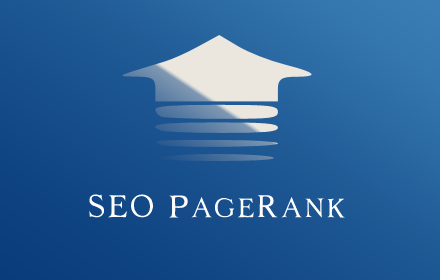 PageRank is a numeric value that represents how important a page is on the web. Google figures that when one page links to another page, it is effectively casting a vote for the other page. The more votes that are cast for a page, the more important the page must be. Also, the importance of the page that is casting the vote determines how important the vote itself is. Google calculates a page's importance from the votes cast for it. PageRank is Google's way of deciding a page's importance. It matters because it is one of the factors that determines a page's ranking in the search results. Alexa is one of the leading internet statistics engines. It keeps a "top billion" chart, where every webpage on the planet has its place. Beginning with Google and Facebook, it goes all the way down to the gazillionth site no one knows about. It's a chart that gives you insight on how your business is doing through calculating the popularity of your site. What makes Alexa especially useful is the geographic dimension. It registers your ranking not only on a global scale but also for every single country where your site has some trackable popularity. Therefore you can focus on analyzing your authority in the countries that actually matter to you. PageRankStatus was created by the pagerankstatus.org team, It is a completely free service to check Google pagerank and Alexa traffic rank instantly .100% free. This website does not gather any personal info, computer specs or IP. If you do not wish your items to be stored publicly, do not use this website. By using this website to check pagerank, you acknowledge that we are in no way responsible for data error, losses or discrepancies in the conversion. You use the software at your own risk. © 2012 ~ 2015 PageRankStatus.org. All rights reserved.